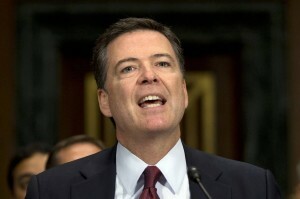 FBI Director Sees Increasing Terrorist Interest in Cyberattacks Against U.S.
Federal Bureau of Investigation Director James Comey said Wednesday that terrorist groups had begun discussing ways to hit Americans with a cyberattack, though he said plotting appeared to be in early stages. Mr. Comey didn’t divulge what sort of cyberattack terrorist groups could be trying to design. U.S. officials have spent years trying to protect things like water-treatment plants, electrical grids, and the banking system from debilitating cyberattacks, but they remain wary because criminal gangs and sophisticated nation-state hackers have proven adept at breaking through networks. He said a cyberattack against Americans had become a popular strategy for some terrorist groups that had found it difficult to infiltrate or recruit followers in the U.S.
Mr. Comey’s comments came as part of a wide-ranging discussion at the Aspen conference, a yearly gathering of government and industry officials and academics. The FBI director touched on encrypted messaging technology, threats posed by Islamic State and the lack of trust between some communities and members of law enforcement. But he avoided delving into some others, saying he had “plenty of opinions” about gun control “but I don’t want to share any of them.” He also was careful not to divulge much information about the continuing investigation into the recent killing of five military service members in Chattanooga, Tenn., by Mohammod Abdulazeez, the now-dead shooter whom Mr. Comey acknowledged hadn’t been on the FBI’s radar. “We have no indication he’s ever crossed our screen,” he said. Al Qaeda, he said, would spend much more time scrutinizing someone’s background and loyalty, sending potential recruits out on small-scale missions to gauge their competence. Islamic State militants show much less discretion, he said, targeting “often unstable, troubled drug users” to carry out attacks anywhere in the U.S. He wouldn’t say, though, whether the Chattanooga shooter was influenced by either militant group, saying instead that the FBI is still combing through his past and his network of contacts.